An impaction is when a tooth is unable to erupt into the mouth due to being blocked by other teeth or a bone or gum issue. Bony Impaction: Part or all of the tooth is covered by bone. 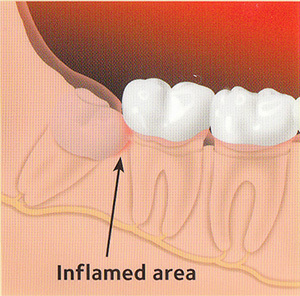 Tissue Impaction: Biting surface of the tooth is covered by the gums. While Dr. Weisbard doesn’t often extract wisdom teeth, she frequently offers evaluations and makes the appropriate referral to a board certified oral and maxillofacial surgeon. 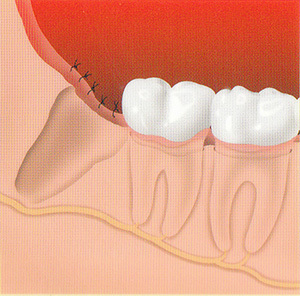 After the molar is extracted, the site is sutured closed. Over time, new bone will grow in and fill the site. Top 10 health reasons to remove your wisdom teeth! Due to limited space and difficulty in keeping tissues clean, inflammation and infection are common even with out symptoms. Once this occurs it is almost impossible to eliminate and infection may spread to other teeth. Research has suggested oral inflammation associated with wisdom teeth may contribute to preterm or low birth weight infants. Even when wisdom teeth erupt they rarely provide any meaningful function and are difficult to keep clean. In some cases, impacted wisdom teeth have been shown to develop cysts and tumors around them. The chance for complications related to the removal of wisdom teeth increase with age. 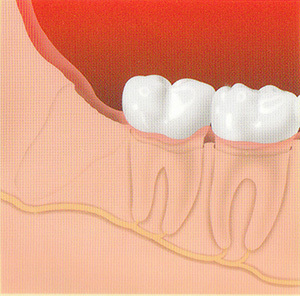 Gum disease and inflammation associated with wisdom teeth may lead to receding gums, bone loss and eventual tooth loss. Wisdom teeth may crowd other teeth, including front teeth. Even wisdom teeth that seem problem free remain a breeding ground for bacteria. Bacteria may enter the bloodstream and contribute to a variety of diseases including cardiovascular disease and stroke. Early removal of wisdom teeth is associated with faster and easier recovery. In the video below, Dr. Lee Weisbard talks about Wisdom Teeth on the Experience Pros Radio Show.